An unforgettable musical portrait of a child actor turned Hollywood star who captivated a nation with her spectacular talent and tumultuous life. Ron Peluso directed a cast that featured Jody Briskey, Norah Long, Clark A. Cruikshank, Peter Moore and Peggy O'Connell. Why would Lou Tyrrell bring to his Theatre at Arts Garage a play that he presented at Florida Stage seven years ago? “We are really more in audience development mode than we are in play development mode,” he says of his fledgling Delray Beach operation. And if ever there were a show to attract and expand his audience, it is surely Beyond the Rainbow, a well-crafted biography of the legendary Judy Garland with two stellar performers as the self-destructive singer-actress. Like Garland, Briskey’s vocal talent is evident from the first time she opens her mouth. Her mimicry skills — the slurred diction, the flat Midwest cadences and the nervous tics and gestures — are a welcome bonus. While Briskey dominated the earlier production in Manalapan, Long has become a confident stage presence in her own right since then, turning Beyond the Rainbow into a compelling duet. Early on she appears in Dorothy Gale pigtails and pinafore, a child-woman caught in the cogs of the Hollywood machine. Long is not only the soul of the show, but a very credible singer as well. Ron Peluso... attempts to use the cabaret space of the Arts Garage, wending his cast in among the tables environmentally. It is the only false step of the production, working against the recreation of Carnegie Hall and diffusing the focus of the show, as the audience is forced to keep looking around instead of viewing in at once the onstage images and memories. 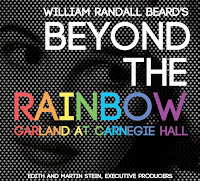 Still, Beyond the Rainbow is a compelling piece of show business lore, an unflinching portrait of one of the 20th century’s towering entertainers, wrapped around a concert of Garland’s many signature songs. If you missed Judy Garland's performance in 1961 at Carnegie Hall, no worries Judy's back and in Delray Beach. 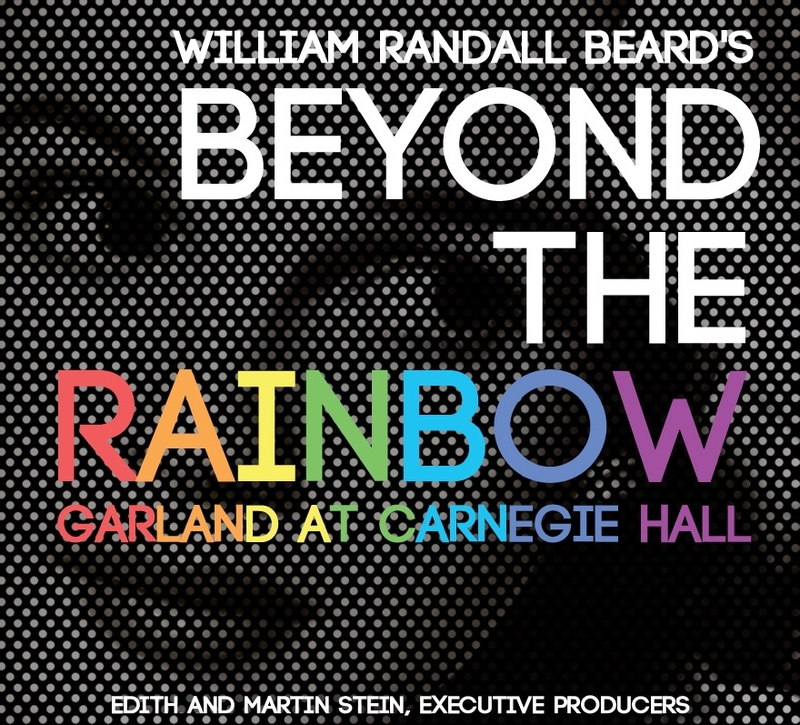 At the Theatre at Arts Garage, Beyond the Rainbow: Garland at Carnegie Hall puts audiences smack dab in the middle of the action. Usually performed in proscenium, director Ron Peluso uses the cabaret area (three tables specifically) for much of the dialogue action, reserving the stage for Judy's Carnegie Hall performance. It's utterly magical. Briskey, who looks like a cross between Garland and Liza Minnelli, captures the ticks and idiosyncrasies of the singer circa 1961, plus she's got the voice. While the first act shares songs and behind-the-scenes stories equally, the second act focuses more on the concert performance, allowing an opportunity for Briskey to show her stuff... Briskey's interpretation of Garland... is just that — not so much an impersonation, which gives it dimension instead of drag-queen parody. Long as the younger Judy has the heady task of playing the star from a little girl in pigtails to a suicidal pill addict in her 30s. To her credit, Long is able to convey the character's time travel convincingly as we see her age, especially magical since many of the young Judy's scenes are in such close proximity to the audience. The supporting cast is spot on and are all masters of characterization as they leap believably from one role to another. Beyond the Rainbow plays at Arts Garage through August 11, 2013.